The barque Viking ship and opera house at Gothenburg harbor. Photo by Göran Assner / Image Bank Sweden. 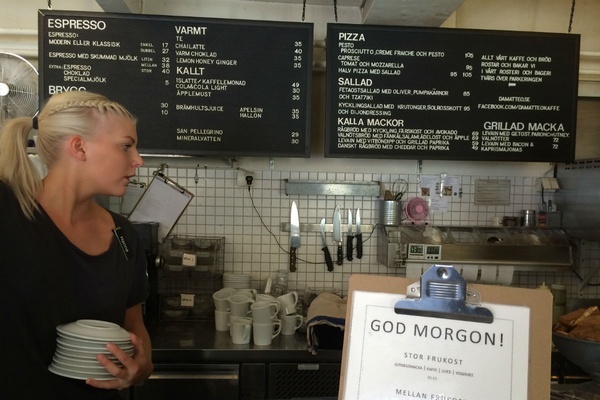 Stockholm may get all the attention, but Sweden's second city, Gothenburg, is on the rise. 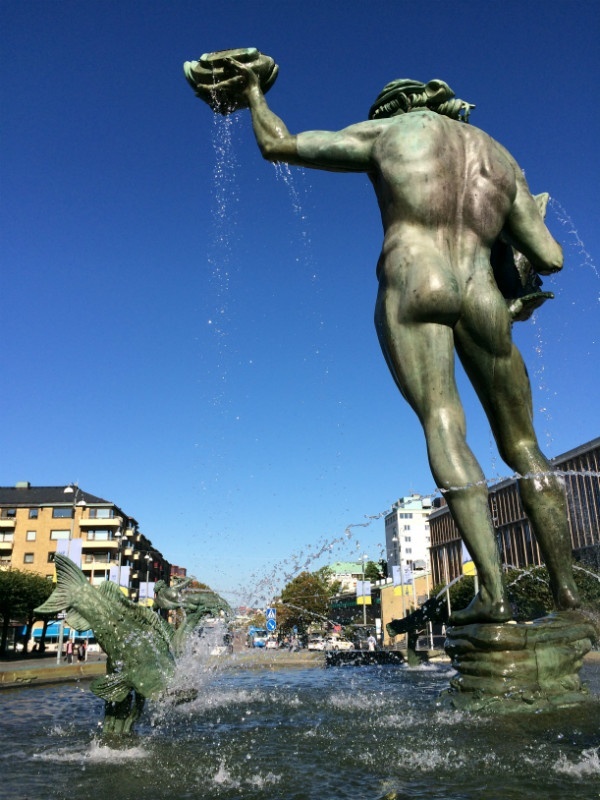 Swedish correspondent Petra Dokken reports on the old favorites and exciting newcomers that are redefining her native city. 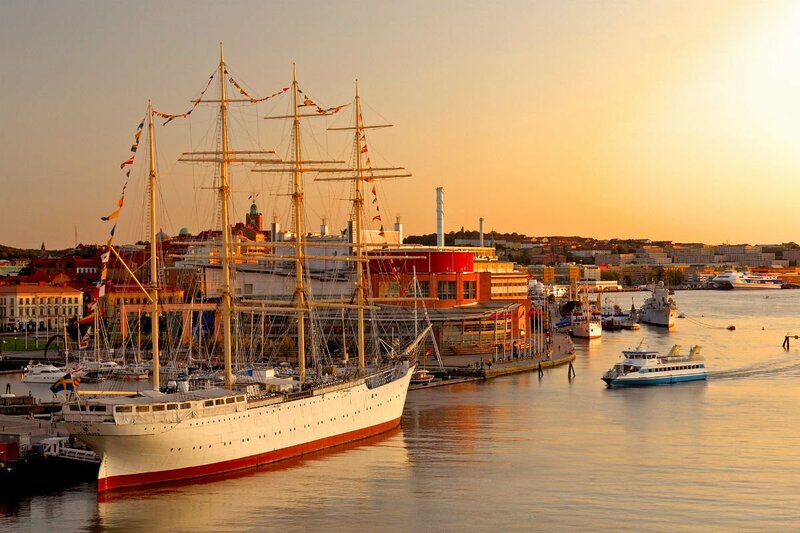 GOTHENBURG, Sweden – My hometown, Gothenburg, is the second biggest city in Sweden, which is the largest country in Scandinavia in both size and population. Gothenburg may be known for its working class roots as Volvo's headquarters and for its harbor's heavy tales of hardship, but that's changing. Fast. Buildings are being fixed up, town squares are developing, art spaces are forming. Along with them are new bars, restaurants, and hotels that appeal to the snobs, to the street savvy, to anyone and everyone. This is a happy, comfy, and super nice place to breath, live, and love. Hisingen is the huge island opposite the city center, across the wide river Göta Älv trafficked by ships that are way too big. Hisingen is where I grew up. My grandfathers both worked in the shipyards. I left twenty years ago after living in the then newly built luxury condos by the riverbank. Divine, the polarity of your own little red wooden boathouse and the heavy noise of the city traveling over the river's waters. Back then, my neighborhood was in an abandoned shipyard, a part of town where you could never find a taxi. Now it's Manhattan-like and growing as I write this sentence. When you're crossing the Älvsborgsbron Bridge at night, it looks like Manhattan to the north, with a big ocean, horizon, and sunset to the west. Röda Sten under the Älvsborgsbron Bridge. Photo courtesy of Röda Sten. Röda Sten Art Center is by the end of the city, where the oil harbor begins and you sense the big blue out there. 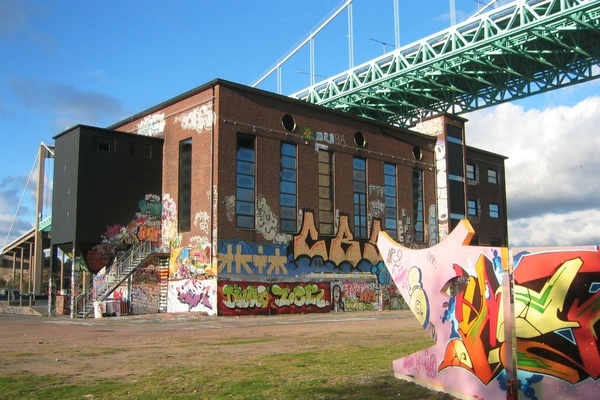 A cool, cool, cool place, Röda Sten is an old brick building converted to an art gallery, restaurant (great vegan meals), and club. When I was a kid, it was rough around here, but now it is proper — with a soul. Älvsborgsbron Bridge overhead provides a constant soundtrack of trucks and clanking metal in the sea breeze. The ocean is a big deal. We have raw Atlantic mist, rains, and cold humidity. I like to stand face-to-face with the elements, walking the dog by the river or canals. A ten-minute drive south from the city center, and I'm facing off with the ocean at granite beach peninsula Amundön. They're hanging around Mariaplan, a total hipster village. There are small community gardens, a lot of rental homes (as in, money is not the priority around here), and a super fun pool called Plaskis. It's a free-for-all for kids and dogs. 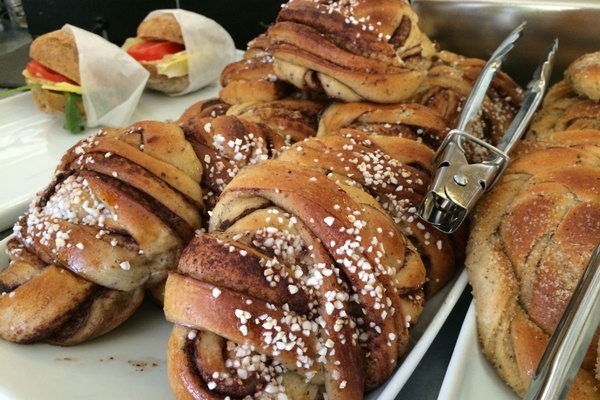 Cinnamon buns (kanelbulle) are a fika staple. Photo by Petra Dokken. A god morgon at Da Matteo. Photo by Petra Dokken. To do fika, that is, to have a coffee and something sweet, like a cinnamon bun (kanelbulle), is sooo Swedish. And Gothenburg is known for its many cafes. My three favorites are Kafe Marmelad in Mariaplan, for the cute, cool, savvy staff and for the great music playing loudly in the background. Bengans in Stigbergstorget is a little café at the entrance of a cult record shop. The best kind of weirdos gather here. Da Matteo has a few different outposts around the city, but I like the Magasinsgatan location the best. They roast their own coffee, bake their own sourdough bread, and are very crafty about their work. It's way too expensive, but it's really sweet. A new favorite is Kafé Magasinet in the old auction house on Tredje Långgatan. It's very industrial and has a fantastic courtyard with a brick wall and magnolia trees. The crazy restaurateur brothers Ingber, owners of Puta Madre, just opened Grill del Mundo. Different rooms have different vibes and destination-based menus that change every four months. Last time I checked it was South Korea and Tehran, next is Morocco and Normandy. Bellora has really good Italian food — they even brought back some Italians from Sicily to the kitchen. And Folk, in the lounge of an old theater, is superb for vegetarian fine dining (their natural wines are better than organic ones). We have a pretty good bar scene too: You can get a spectacular cocktail made with mezcal and hibiscus tea at Barabicu, have great daiquiris at Puta Madre, and drink bubbles by the glass at Forssén & Öberg Champagne bar. 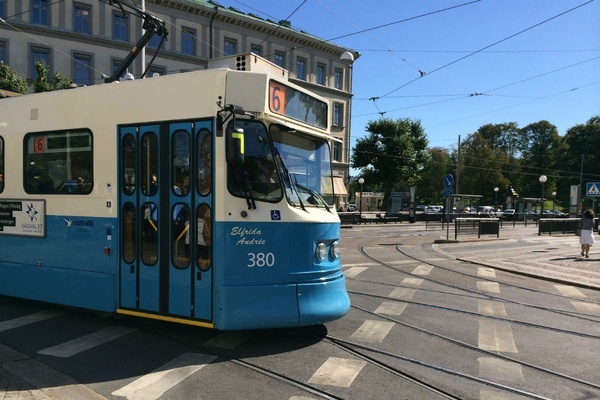 Who needs a car when you have bikes and trams to get around? Bicycles are the way to go. Driving is just nuts. The tolls and the parking are, in my experience, the most expensive in the world. But the special bike lanes make riding great — and let you take in the spirit of the little things. At my place in the city center. Seriously, stay with a local. Otherwise try Pigalle by Gothenburg Central Station, or Dorsia just opposite the city garden, Trädgårdsföreningen. Neither hotel is Scandinavian in style, but more eclectic boudoir, which is fun. Also, in a beautiful old stone building by the city church you will find the Elite Plaza Hotel with nice, old-school vibes. For something entirely different we have the Gothia Towers, our twin towers. The Novotel down by Röda Sten under the Älvsborgsbron bridge is a nice mid-range option. The weather. Rain is sometimes very nice. Big concerts. Convention tourism. The Liseberg amusement park. And any talk about this town as a fashion shopping destination. I do not even buy socks in Gothenburg. A visit to the Archipelago. The small, rocky islands are full of religious people and ancient sailors, as well as yogis and artists. You never know what to expect. Bring your toothbrush. You'll most likely be spending a night or two. The sea god in all his glory. Photo by Petra Dokken. There are a few, but I will pick the large statue of Poseidon, god of the sea. He has a prime location looking down the grand avenue all the way to the water, surrounded by the art museum, the city theater, and the city's concert hall. Nice buttocks, by the way. Gamla Masthugget is on top of the mountain, by the large Slottskogen Park. It's residential and quiet, as a storyteller's nest needs to be. For inspiration, I can see the city night sky to the east, the large trees and birds to the south, and the western sun as it sets over the rooftops. Petra is a lifestyle and travel storyteller / trend researcher based in Scandinavia and worldwide. You can follow her on Twitter. She travels for the beauty of change: Stillness and movement fit perfectly together.